The Disclosure Project is a grassroots campaign led by Dr Steven M. Greer. It’s stated “topline” goal is to petition and legitimately pressure Congress and all US. Gov’t officials to fully disclose to the American public “the facts about UFOs (and) extraterrestrial intelligence …” Certainly an admirable goal, and one that we both share and encourage. The website (nearing 6 million hits in 6 months) further raises the issue of an unconstitutional “Shadow Government” which is keeping these truths hidden both from the world at large, and the legitimate, elected government of the United States. Dr. Greer has successfully encouraged dozens of former military officials to publicly testify to the reality of the UFO Phenomenon. In and of itself, this is an admirable work, for which Greer and company are to be commended. (Note – Astronaut Edgar Mitchell and UFO video photographer Jason Leigh have both come forward to ask Dr. Greer to stop using their names and material unscrupulously http://www.rense.com/general10/mitch.htm). Whether knowingly (as either a disinformation agent, or as a closet cult-leader) or unknowingly, by attaching these very distinct and separate issues to the noble goals of the Disclosure Project, Dr. Greer is unfortunately playing all of us right into the hands of the very Shadow Government he warns of. These other non-essential (to Disclosure) pursuits are built upon a single faulty premise – that UFOs are not ever harmful. The following is from the book “UFOs: What on Earth is Happening” published in 1976 by Bantam Books, authored by John Weldon with Zola Levitt, and is used by permission of each. 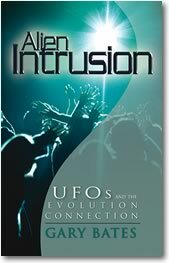 The book is now out of print, which may be why Dr. Greer is unaware of these reports. Whether he is aware of them, or chooses to ignore them, remains yet to be seen. “In the same way, most of those who claim contact with UFO creatures report they are friendly and concerned about the welfare of humanity. This is the perfect deception (assuming it is a deception – AR) — evil beings masquerading as benevolent, yet they are not benevolent. The UFO literature is full of indications that UFO entities are evil, hostile beings of great cunning and ability. “Major Don E. Keyhoe and others have listed many incidents where UFOs have deliberately attacked aircraft and been responsible for several deaths and injuries. “In one amazing case in 1953, a F-89 interceptor was scrambled at Kinross AFB to investigate a UFO. The UFO followed the jet over Lake Superior. Then the ground radar control watched amazed as the UFO merged with the F-89 on the radar scope! The jet interceptor and the UFO were locked together. The combined blip then moved off the scope, but no trace was ever found of the two pilots, the jet, or the UFO. Another incident involved an Air Force C-118 transport plane which was hit by some object in the air. The plane crashed, killing the pilot and the three man crew. Prior to the crash, witnesses had seen two UFOs following the aircraft and other people had noted UFOs in the area. Some of the reports were confirmed by Fred Emard, Chief of Police at Orting, Washington. “In another case, Col. Lee Merkel crashed and was killed just after reporting a UFO. Other cases have undoubtedly been kept secret. “According to some reports, UFOs have simply destroyed planes pursuing them. Books such as Brad Steiger’s Flying Saucers Are Hostile and Harold Wilkins Flying Saucers On The Attack prove at least some of the UFOs are evil. Steiger mentions an entire African village that was destroyed by a UFO Beam. “Jerome Clark, a leading American UFO researcher, in his article Why UFOs are Hostilementions the possibility of ‘hundreds, possibly thousands’ of people being murdered around the world by UFOs. Referring to Steiger’s book, he says UFOs or their occupants have been responsible for aggravated assault, burnings by direct ray focus, radiation sickness, murders, abductions, pursuits of cars, assaults on homes, paralysis, cremations, disrupting power sources, etc. Clark says there is also ‘no objective evidence’ apart from contactee cases, that UFOs are friendly or from other planets. Several other respected researchers as well have noted UFO hostility. It is simply unreasonable to believe that, as a noted ufologist, Dr. Greer has never heard of these or simliar reports (but a response to this article pending, we do offer him the benefit of doubt for now). However, too much of the UFO community simply ignores all such reports in favor of either an undeserved loyalty to the ufonauts, or a hidden agenda – political, spiritual and/or financial. Promotion of UFO beings as benevolent (without regard to the destruction left in their wake) and the ideal of a peaceful “Intergalactic Community” is the hallmark only of uninformed researchers, well-informed disinformation agents, New Age acolytes and UFO cult leaders. Intelligent people however cannot allow a starry-eyed view of the reality of UFOs to cause us to roll over and merely assume they ALL are – or always will be – friendly and beneficial to humanity. All we really know so far from Dr. Greer and others’ efforts is that these entities exist, and that they seem to offer us shiny cool stuff in exchange for just a little territory. However, our own checkered human history of initial European relations with Native American Indians should be enough to teach us the folly of repeating this path (i.e., “Today’s Manhattan Island is tomorrow’s Manhattan Project!”) Many still believe that unbeknownst to the general public, the Reagan-era Star Wars initiative was solely for the purpose of defending earth from those aliens which had proven themselves to be hostile. The very premise of the beloved Star Trek and current Enterprise series – if nothing else – warns us that space MAY be a dangerous place; although yes, we absolutely should “boldly go,” but we should do so only if armed to the teeth! As to credibility, the allegedly peaceful nature of the majority of aliens, and indeed the very existence of some “Galactic Brotherhood” that’s out there ( and now supposedly inviting us to join their ranks), are to date mainly promoted by groups (some say cults) like The Raelian Religion, The Nibiruan Council, and The Urantia Foundation. We need only to study these popular group’s contradicting positions on the physical location (“homeworld”) and current goals of these so-called “Federations” to see that something is seriously amiss with a blind acceptance of Dr. Greer’s claims of the same. Nuts-and-bolts scientists, government officials, credible UFO Researchers and especially Disclosure Project supporters need to ask where does he draw his information from, and is it the same or any more verifiable than any of these groups? Is he using the scientific eye-witness credibility of the project to advance one of these groups’ philosophies, or some similar agenda? 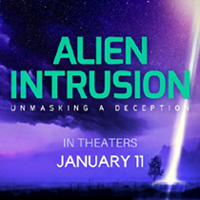 AR’s position on the deceptive nature of the current so-called alien presence – and it’s ties to a “one-world” or “shadow” government – are not the issue here. However, merely in light of the documented death & destruction caused by UFOs, and the potential threat to humanity still posed by the presence of at least some of them, we implore Dr. Greer to divorce the issues of disarmament – and even Intergalactic Community – from the Disclosure Project. We respectfully submit that Dr. Greer and supporters should keep the Disclosure Project focussed solely on disclosure, and leave the dictation of U.S. military policy – both “foreign” and domestic – to our trained soldiers, proven ambassadors and constitutionally elected officials. And perhaps even leave spirituality to spiritists, or at least both decide and publicly disclose which HE is. At this point, both military disarmament, and a blind acceptance of the unproven benevolence of the entire unchartered universe, are unwise indeed.